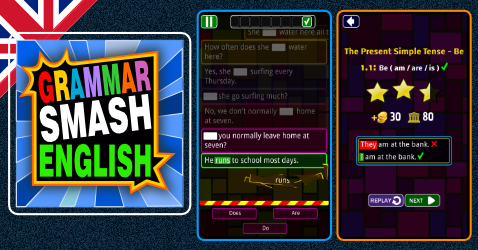 INTRODUCING GRAMMAR SMASH ENGLISH: A simple, fun, block busting game for learning basic English grammar quickly and easily. Smash words to form sentences in this highly addictive English grammar course for ESL/EFL students. Learning English grammar has never been so simple, fun and easy. 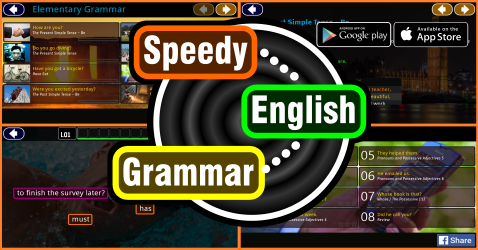 INTRODUCING SPEEDY ENGLISH GRAMMAR: A simple, fun, Zen-like game for learning basic English grammar quickly and easily. Link words to make correct sentences in this highly addictive basic English grammar course for ESL / EFL students. Learning English grammar has never been so simple, fun and easy. 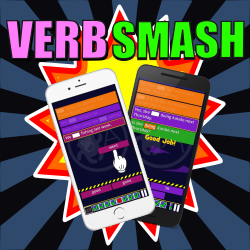 Smash verbs in this fun game to learn English grammar. 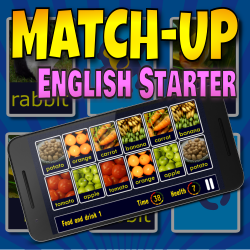 Learn English vocabulary by matching pictures, words and audio. 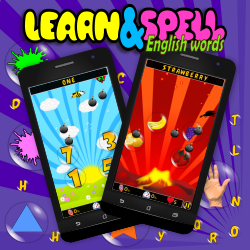 Pop bubbles to learn how to spell basic English words.